The Supreme Court on Tuesday appointed former Karnataka High Court Judge, Justice Jawad Rahim as the acting Chairperson of the National Green Tribunal (NGT). The appointment was made by a Bench comprising Chief Justice of India Dipak Misra, Justice A.M. Khanwilkar and Justice D.Y. Chandrachud on a Petition filed by the NGT Bar Association. The Petition has challenged the Constitutional validity of the National Green Tribunal (Practices and Procedures) Amendment Rules, 2017, which allow for the constitution of single-member benches of the Tribunal to adjudicate on disputes. This, the Petition contends, goes against the spirit of the National Green Tribunal Act, 2010. During the hearing on Tuesday, the Court noted that Section 11 of the Act allows the Central Government to notify a Judicial Member to act as a Chairman until a regular appointment is made after the expiry of a Chairperson's tenure. The Court therefore noted that making an interim appointment was necessary, especially since the Government had agreed to abide by such an order being made by it, observing, "The learned Attorney General has indicated that the Central Government would abide by the interim arrangement that is made by this Court, so as to facilitate the discharge of duties of the Chairperson until a regular appointment is made. The making of an interim arrangement is also necessitated in order to enable the acting Chairperson to participate in the selection process for filling up vacancies of members of the NGT." Attorney General K.K. Venugopal then presented before the Court a comparative chart with relevant details of the Tribunal's two senior-most members, namely, Justice Jawad Rahim and Justice Raghuvendra S. Rathore. 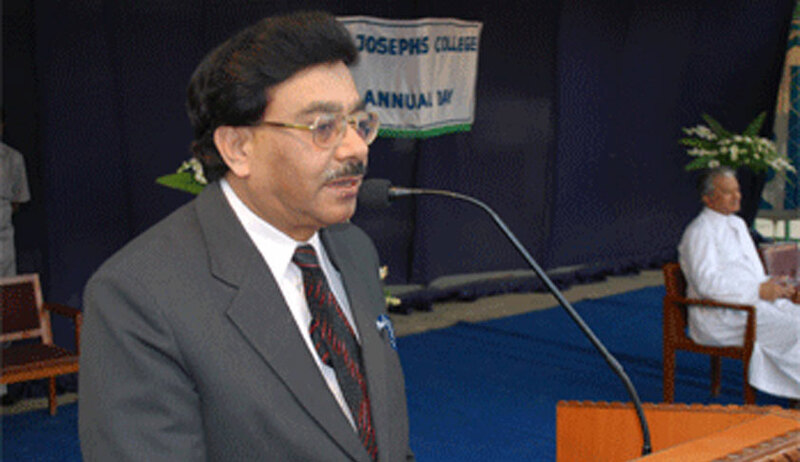 Mr. Venugopal pointed out that while both the members had been appointed to the NGT on 12 January 2016, Justice Rahim ranked senior in appointment to Justice Rathore, as a Judge of the High Court. The Court then appointed Justice Jawad Rahim as the Chairman, for the time being, ordering, "Justice Jawad Rahim shall discharge the duties of Chairperson for all purposes, including participating in the selection process for filing up vacancies of members, until a regular appointment of a new Chairperson is made." It, however, clarified that the order is merely an interim arrangement and that it should not be construed as a final determination of seniority between the two former Judges.